Mascara is not a category that sees a lot of innovation. Let’s face it, mascara is mascara. You can tweak the brush, call one formula glossier than another, but at the end of the day, mascara has pretty much stayed the same for the past 50 years. But that doesn’t stop us from getting excited when a new product that promises to make lashes look better than falsies hits the market. Enter: MAC’s new InstaCurl Lash ($23) mascara. Before you groan at the thought of another curling mascara that does nothing of the sort, think about the brush on curling mascaras. It’s curved, but it’s kind of just toying with the idea of the curve—not fully committed. 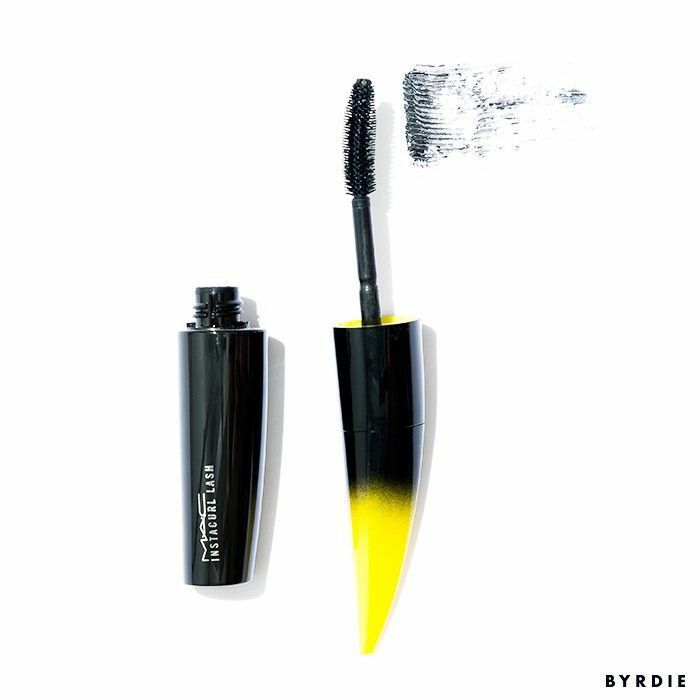 The reason why is obvious—a fully curved mascara brush doesn’t fit into a mascara tube, right? Not anymore. With a quick twist of the cap, InstaCurl transforms from ordinary brush to full-on fishhook. Scroll down to see it in action! I take eyelash curling very seriously. I never leave the house without curling my eyelashes (even when mascara is not on the agenda). I even carry an eyelash curler around in my purse at all times. If you’re like me, you’ll probably still want to curl your lashes on most occasions—if I’m rushing to work and need to skip the curling step, this is my go-to. With all that being said, I was very impressed with the level of curl this mascara delivered. After several eye-by-eye comparisons with different mascaras, I can confidently say it works. My lashes look lifted, long, and, of course, curled. Being able to customize the curve really allows you to get every lash, even the tiny ones hiding in the inner and outer corners that are so tough to reach. It works especially well as a finishing mascara (meaning not my first coat, but my last). What's your take on curling mascara? Love it or leave it? Tell us below!